Now in the fifth decade of a most remarkable and adventurous international career, Misha Dichter is the truly the pianist's pianist, revered as both a performer and teacher. 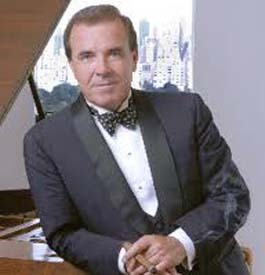 He performs solo recitals and appears with virtually all of the world's major orchestras, performing the virtuoso compositions of Liszt, Rachmaninoff and Tchaikovsky, as well as music from the central German-Viennese repertoire-works by Mozart, Beethoven, Schubert, and Brahms. Do you like happy endings? They're not just in movies and books. Pianist Misha Dichter says they're heard in music as well. The music heard here is Brahms Piano Concerto No 1, Mvt 3 (Pentatone #5186124). Virtuoso Voices invites you to meet classical music's most interesting and engaging performers, conductors and composers here on VirtuosoVoices.org. Each month we feature one virtuoso on our HOME page. Visit the "Meet the Virtuosos" page for a list of your favorite performers and hear what they have to say about the music they love and their lives as performers. Do you have a question for a performer? Click on "Ask the Virtuoso" below and submit your question. Classical music's virtuosos want a word with you. Soprano Danielle de Niese answers - click here.